Introducing The BioForce Certified Conditioning Coach Course – the first and most respected conditioning certification for serious coaches who want to be at the top of their field. Give me just one week and I’ll show you how to write effective conditioning programs that work every single time — with any client. When it comes to energy systems and conditioning, most fitness professionals and coaches have a hard time knowing the why and the how of putting together effective programs. They feel confident in their strength and power programs – but when it comes to conditioning most of them struggle to put the pieces together. When it comes to conditioning, most coaches simply add high intensity intervals to the end of the workout and use a "one size fits all" model. Or they neglect to put structured conditioning work into their programs at all! This is a big problem because conditioning is one of the most important – and most neglected – aspects of health and fitness. Here’s the truth: Conditioning is a secret weapon for athletes … and a proven lifesaver for general population clients. With cardiovascular disease at an all-time high, we as fitness professionals must understand how to effectively program and coach conditioning programs, whether we work with athletes at the highest level, or general population clients. Get a practical system grounded in science that delivers real-world results. I created the BioForce Certified Conditioning Coach Course to make you 100% confident in your ability to write and coach effective conditioning programs, with anyone that walks through your door. Get better results. Grow your reputation. Stay at the top of the industry. I’ll walk you through everything you need to know – from the initial testing and assessment to exercise selection, periodization, training blocks, program management, monitoring and more. Learn the most powerful training methods, and exactly when to use them to have the biggest impact. Training methods don’t mean much if you don’t know how and when to use them. That’s why we’ll cover aerobic plyometrics, alactic intervals, cardiac power intervals, high-intensity continuous training, tempo intervals, the threshold method, recovery, regeneration and more. So you always know the right tool for the job. Join the top 1% of coaches in the fitness industry. We’ll dive deep into what conditioning actually is and how the body, brain, and environment all play very specific and important roles. We’ll cover motor control, stress reaction, motivation, movement, and more. This knowledge alone will put you in in the top 1% of all coaches currently working in the industry. Feel confident that you can work with anyone – and watch your business and reputation grow. Once you understand the broad picture, it’’s time to dive deep into specific groups to learn hoe to get the absolute best results. That’s why we’ll cover lessons and strategies for general population clients, tactical athletes, endurance competitiors, team sports, and more. Get the 200+ page workbook mailed directly to your door, for free. The workbook is your secret weapon. It includes breakdowns and cheat sheets of every single training method, along with summaries of the entire course, so you can take notes and refer back as often as you need. Take the online exam and earn your certificate. 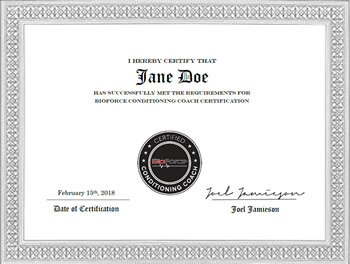 After you complete a comprehension quiz and score a 80% or higher, we’ll mail you your certificate to prove that you’ve gone through the entire BioForce Certified Conditioning Coach Course. Try the certification for a full 30 days. Watch all the videos, read the workbook and decide for yourself whether it’s right for you. If it doesn't help you become a better coach, email me within 30 days and I'll refund you 100% of the price. You can even keep the workbook. I work with team sport athletes and wanted to learn how to write better programs and smoothly transition from one phase to the next. From Joel’s certification, I got a better understanding of how to structure everything. I feel like I’ve grown tremendously in terms of understanding the application of not only specific methods but also when to utilize them. But perhaps my biggest results have come personally. After the certification, I began tinkering with my own training program. I can’t thank you enough for all that your methods have done for me. I feel stronger, more powerful and more durable than ever before. top coaches and elite performers worldwide. Hi, I’m Joel Jamieson, and I’ve spent the past 15 years learning everything I can about conditioning. 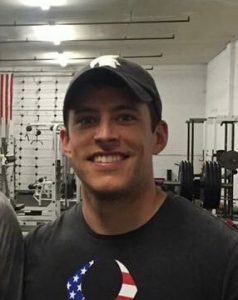 My training strategies have been used by the industry’s best coaches and thousands of elite performers worldwide—including the Navy SEALs, UFC Champions, and dozens of teams from the NFL, NBA, MLS, NCAA, and more. How do I assess each client and write them an individualized conditioning program? How do you pick what type of conditioning method to use and when? How do I program for general population clients versus athletes? How do you prioritize what capabilities to work on? What about effective programming for larger groups or teams? Because these topics are so important—and because there’s such a lack of quality conditioning information out there—I finally decided to put everything I’ve learned over 15 years into one complete, practical, self-study system. It’s called BioForce Certified Conditioning Coach Course, and it’s the first and most-respected conditioning certification for serious trainers and coaches who want to stay on the cutting edge of the fitness industry. I was confident with my knowledge before — but this course gave me a MUCH better lens to view programming and the whole concept of conditioning. 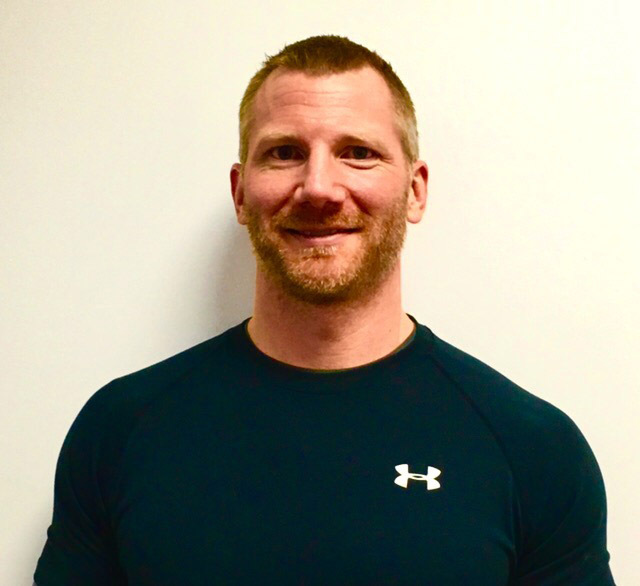 Joel’s certification was incredibly thorough, from training methodology and practical examples to using the correct tools and learning how to program on both a micro and macro cycle. Joel is the best of the best — he ensured I understood the foundational principles of conditioning and how to program it more effectively. After finishing the course, I started to assess, test, and measure my clients’ progress way more efficiently. Plus, based on what I learned, my own training has improved better than I could have imagined. Coach Course right for you? I want to be clear: the Bioforce Certified Conditioning Coach course isn’t like other certifications out there. We’re not gonna waste our time on outdated science or spend hours discussing details that don't really matter. Instead, I’m going to hand you proven tools and strategies to get better results with your clients, grow your reputation and your business, and feel 100% confident in your ability to write and coach effective, successful conditioning programs. That said, the BioForce Certified Conditioning Certification isn’t for everybody. Look, I think investing in your education is a smart move, no matter where you’re at in your career. However, if you’re just starting out, I’d encourage you to work with a few clients first. Get your very basic certification if you haven’t yet. Figure out if you even enjoy being in this field. Education comes from learning through certification courses like this and from the real-world experience of training people. I suggest you start there first, and see if you’re ready to make this a career. I’ll be here to help you when you’re ready for the next step. Certifications are valuable because they show that you’ve put in the work. Your certificate communicates to your colleagues, your clients, and to yourself that you took the necessary steps to further your education. That’s important. However, a piece of paper is meaningless on its own. Nothing in the BioForce Certified Conditioning Coach Course is going to work for you if you don’t put it into practice. So please don’t invest in this if you’re just gonna add a new certification to your wall and not use the material you learn. If you have a training system you’ve been using for years and you’re not ready and open to trying a new approach to conditioning, then the certification course probably isn’t for you. I designed the course to teach coaches a completely new way of looking at conditioning from the ground up. If you’re not ready to challenge yourself to think outside the box and you aren’t open trying new strategies, new methods and a different approach to conditioning, then the certification course probably isn’t a good fit for you. You're a dedicated coach that's committed to being at the top of the field. 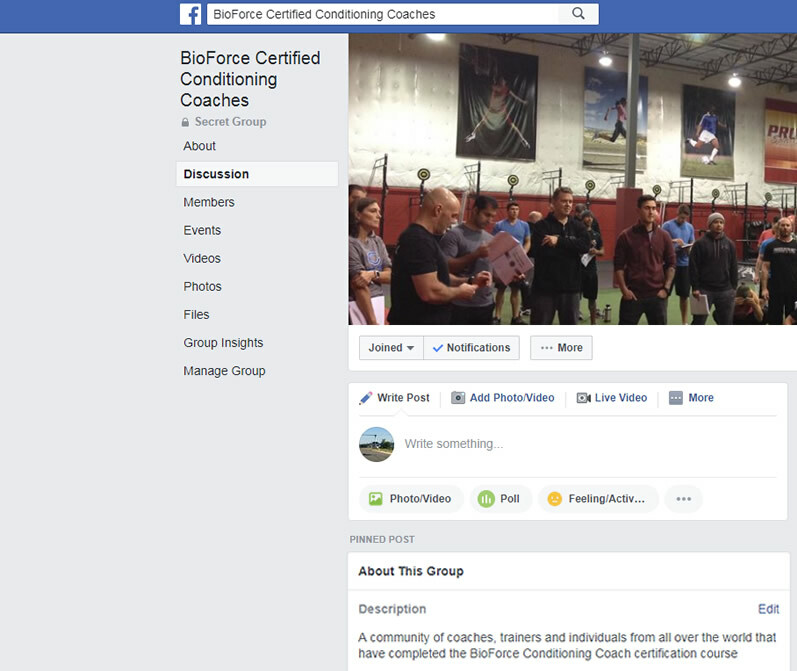 If you’re someone who takes pride in your work and is always striving to become a better coach, the BioForce Conditioning Certification was made for you. I believe there’s always more to learn — which is why I’m always learning and connecting with coaches and experts I respect. It’s also why hundreds of coaches have come to me in order to learn how I coach conditioning. Sure, we’ll go through theory, too. We’ll dive deep into the science behind energy systems development, the relationship between the body, brain, environment and more. But the true focus of this course is practical application. That means giving you the tools you need in order to feel 100% confident in your ability to write and coach successful conditioning programs. You want an online, self-paced training course to work through on your own time. If you want to sit down and binge-watch a dozen videos at a time, that’s fine. If you want to watch one video a day, that’s fine too. If you go on vacation or just get busy and don’t watch anything for a couple of weeks, no problem. No pressure, no deadline, so you can go at your own pace on your own time. The material will be there for you whenever you’re ready for it. Get the most complete, cutting-edge conditioning education in the industry today. Since I first started teaching the conditioning certification course in live events all over the world, I've taught hundreds of coaches learn the art and the science of writing and coaching effective conditioning programs. Now in the third release of the online course, I've added more than 30 new videos and 4 hours of brand new content from special guest contributors. I've brought in top industry experts Mike Robertson, Bill Hartman, Brian Cain and Dr. Mike Roussell. Together, they're going to teach you how to improve movement, increase mental performance, and build a solid foundation with nutrition. You won't find a more comprehensive course anywhere in the fitness industry today and you'll get access to all future updates as the course continues to grow and expand each year. 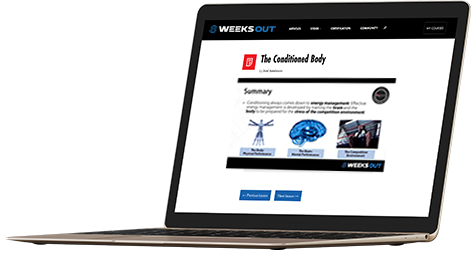 Get instant access to our complete video library with more than 80 videos covering everything from energy systems, to movement, nutrition and everything you'll need to know to build your own conditioning system. Watch and re-watch them as often as you want at your own pace and on your own schedule. We'll mail you our brand new 250+ page workbook directly to your door for free. Get access to all the latest content, cheat sheets and bonus material to refer back to and use with all your clients and athletes. Join our community of hundreds of of top coaches and fitness professionals from all over the world and get all your questions answered. You'll also get access to our library of continuing education and discussions as new material is added. You won't find a better group of like minded professionals eager to discuss the latest strategies, methods across a wide range of training topics. Plus, you'll get to interact with me and my team personally as you progress through the course and beyond. 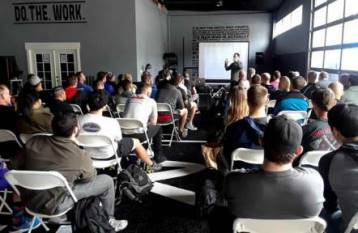 Each year all certified conditioning coaches are invited our live 2-day mastermind workshop held in Seattle, WA. This is an annual event that we put on each year at absolutely no cost. You'll get to learn from special guest speakers, interact with your fellow coaches and take part in our fun planned events around the beautiful city of Seattle. Once you pass the comprehension quiz at the end of the course with at least 80%, we'll send you the certification directly to you. Most of the people that take the course complete it on their first try, but you're welcome to retake the course if you don't and we're always here to help with any questions. Try The BioForce Certified Conditioning Coach Course for a full 30-days, 100% risk-free. My entire business is built on getting results for people—whether it’s my fighters, my football players, or the thousands of fitness-industry professionals who read my work every day. Helping people get results and become better is the main reason why I’ve had any level of success in this industry. It’s why top sports teams and influential companies want my help. It’s why hundreds of thousands of people visit my blog every year. That’s why I guarantee The BioForce Certified Conditioning Coach Course. It’s simple: Take the course and see for yourself. If it doesn’t help you become a better coach, email me and I’ll refund you 100% of the price. You can even keep the workbook. This guarantee covers you for a full 30 days, which means you can go through the entire course and decide for yourself whether or not it was worth your investment. My goal is to help you become 100% confident in your ability to write and coach successful conditioning programs—and I fully believe The BioForce Certified Conditioning Course will help get you there. Will the BioForce Certified Conditioning Coach Course work for me? If you’re reading this page, then you know the value of continuing education. It’s what separates most coaches from great coaches. Just like every certification you’ve ever earned, every book you’ve ever read, and every seminar you’ve ever attended, the Bioforce Certified Conditioning Coach course will not magically solve all your problems. Instead, you have to put in the time and effort to learn the material and test it out on your own clients. If you don’t do that, then I’m not promising anything. But if you apply what you learn, I can fully guarantee that the methods and strategies will work for you. What if I don't train athletes? Everything you learn in the Bioforce Certified Conditioning Coach course works for both athletes and general population. Just like how everyone needs more strength, more mobility, and better nutrition, everyone needs conditioning. Remember: even though I’ve made my name training high-level athletes, I’ve also worked with every kind of general population client you can think of from stay-at-home moms to corporate executives. Also, my students own a variety of different businesses and work with all types of clients. No. The Bioforce Certified Conditioning Coach course is delivered entirely online so you can go at your own pace and learn whenever you want. I taught this certification live for a few years, and even though I had hundreds of people attend, I realized that only offering live courses has significant drawbacks. For one, live events are more expensive to attend. Coaches who would attend my live events would have to take time away from their clients, leave their family behind, buy airfare or gas, book a hotel room for a few nights, and budget enough money to eat out multiple times per day. All that combined ended up costing thousands of extra dollars. Also, with a live event, I’m always constrained on time. Even though I’d do my best to share my research and dive deep into practical conditioning strategies, we never got through even half of what I wanted to get through. Because the Bioforce Certified Conditioning Coach course is delivered entirely online as a self-paced course, I was able to put at least 25% more material into the course. For those that do want to attend a live event, each year we offer a 2-day live Mastermind Workshop in Seattle, WA. All certified coaches are welcome to attend at no additional cost and we bring in guest speakers and put together fun events for everyone to participate in. I own your book Ultimate MMA Conditioning and have read your articles. Is there anything new here? I’m proud of all my work, but the truth is those books and articles are only scratching the surface. After all, there’s only so much I can teach in a 2000 word article — or even in a book. In those mediums it’s easy to talk about the theory and the science behind conditioning. But incredibly difficult to give practical conditioning advice: how to assess, what to do for certain kinds of clients, when to do switch techniques, what strategies to use, and on and on. Is there a test? Does your course offer CEU's? There’s a quiz at the end of course in order to ensure you feel confident with the material. However, my goal with this certification isn’t to get you to cram hard so that you can pass a test. Instead, my goal is to teach you the science of conditioning and how to apply what you learn directly with your clients to get them better results. As far as CEU’s, we currently offer CEU's for NASM and we’re working on with a variety of different organizations, and I’ll keep you updated as we get more information. For now, you can receive 1.7 CEU's from NASM for completing the course. However, I want to reiterate one important thing: The Bioforce Certified Conditioning Coach course is for high-level coaches who know the value of continuing education whether they get a credit or not. What if I take the course and it's not for me? 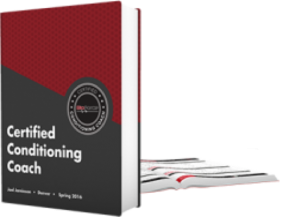 My team and I worked hard to make this the most comprehensive conditioning resource available anywhere. The stuff I'll show you has been proven not just in the lab, but also in the trenches with hundreds of clients — so I suspect you’ll love it. That said, I want you to be completely happy with your investment. So if you try the BioForce Certified Conditioning Coach Course and decide it's not for you, just send me an email within the first 30 days and I'll get you a full refund. I have no interest in keeping your money if you’re not happy. How will you become a better coach today? I know you care not just about your career and education, but also about your clients. You wouldn’t be in this field otherwise. We all want to do our best, but in my experience most coaches have an uncomfortable knowledge gap when it comes to conditioning. It’s time to fix that. In the BioForce Certified Conditioning Coach Course, I’ll give you everything you need to know in order to feel 100% confident in your own ability to write and coach successful conditioning programs. • Work with athletes? They’ll begin performing at their highest level, able to go longer and harder than ever before—and hardly able to believe it. • Work with general population clients? They’ll actually look forward to their cardio sessions and start being more consistent with their training, in and out of the gym. Plus, they’ll be better protected from cardiovascular disease and live a better life because of it. 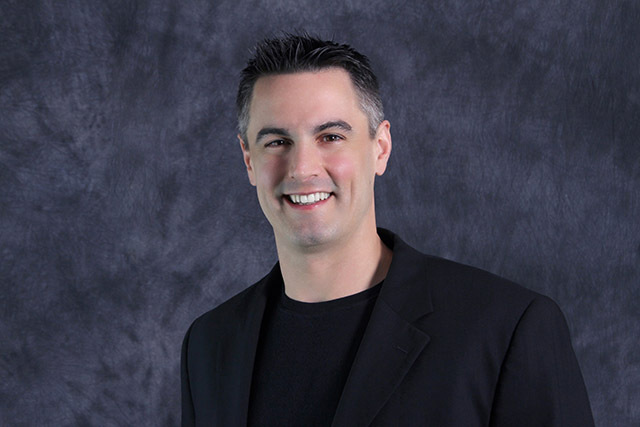 Imagine what it would feel like to become the go-to expert in your area and attract new high-level clients. Imagine what it would feel like to get reliably better results and retain your current clients for longer. Imagine being able to affect people on a deep level and literally transform their life—all while growing your business and reputation. It’s all possible. And it could be your next step. If you’re just starting out in this industry, I encourage you to pass on the BioForce Certified Conditioning Coach Course for now and instead start building more experience in the trenches. I’ll be here for to help when you’re ready. But if you’ve been in this industry for while, you owe it to yourself and your clients to continue your education and learn everything you can about conditioning. I’m ready to teach you. But the next step is yours. My Guarantee: Try The BioForce Conditioning Certification Course For a Full 30-Days, 100% Risk-Free.  This guarantee covers you for a full 30 days, which means you can go through the entire course and decide for yourself whether or not it was worth your investment. 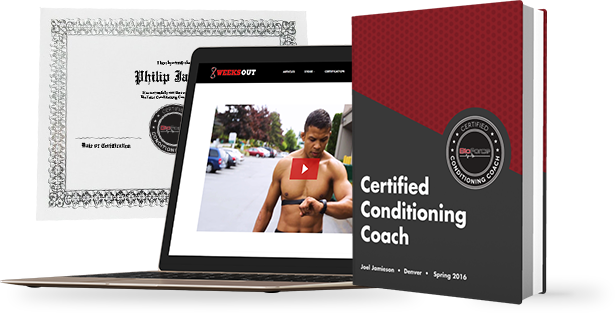 My goal is to help you become 100% confident in your ability to write and coach successful conditioning programs – and I fully believe The BioForce Certified Conditioning Coach Course will help you get there.